Fancy stretching your legs a bit further? There are several long-distance paths in Norfolk. The Coast Path is approximately 45 miles long and runs between Hunstanton on the west coast and Cromer on the north coast. 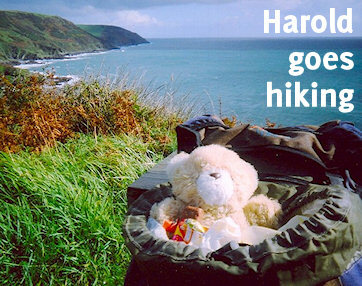 As its name suggests, it is an almost entirely coastal walk. The Weavers Way is approximately 60 miles long and runs through Broadland between Cromer and the resort of Great Yarmouth on the east coast – including the Halvergate Marshes, internationally renowned for their bird life and stunning scenery. The Angles Way runs between Yarmouth and Thetford, is approximately 75 miles long, and crosses from Broadland into the sandy soils, heaths and coniferous trees of Breckland, the landscape of west Norfolk. The Peddars Way starts from Knettishall Heath, in a country park near Thetford. It covers approximately 50 miles, crossing Breckland to return to the coast at Holme-next-the-Sea, almost three miles from the start of the Coast Path at Hunstanton. The combined distance of these four paths is around 225 miles. Moving inland, the Wherryman’s Way is a 35-mile stroll through Broadland – starting at Norwich and ending in Great Yarmouth by way of such places as Surlingham, Rockland St Mary and Berney Arms, sticking to the Yare Valley as closely as possible. The Broads themselves are notoriously hard to actually see by car, and often on foot, so this path should offer a nice insight without making, shall we say, unreasonable demands on the walker.